Discussion in 'Music Corner' started by George P, Jan 7, 2015. This thread (and the 64 that have preceded it) is for all things that relate to Classical Music. Feel free to post what you're listening to, recordings you recommend, recent classical purchases, classical concerts, classical works, classical composers or classical performers. Glorious hall acoustics and, of course, first rate playing. This version is well played and recorded, but it's less dramatic than I would expect from these artists. Got an unexpected [and welcome] gift in the mail from our resident antiquarian, DRH. A carefully packed and rather heavy box of 78's of classical music in very clean condition The selections are symphonic, standard repertoire from record clubs of the 78 era, when an otherwise well-known conductor is performing with a nom-de-disc. There is a lot of representation of Ormandy and also Rodzinski with the NBC S.O. Thanks David, this is going to be fun. EasterEverywhere, bluemooze, Mik and 4 others like this. I've said it before, I'll say it again, David is da man! Joe071, bluemooze, Mik and 4 others like this. Back when I got those 78s of the CSO Nutcracker under Stock, DRH digitized his copy and sent me the link to the files, so that I could hear what I bought since I don't have the capability of playing 78s on my current setup. It sure was nice to hear those during the Christmas holiday. The sharing of knowledge, expertise, and kindness on this forum is wonderful. bluemooze, Mik, john greenwood and 2 others like this. Right now I'm in a bit of limbo. Have a "portable" record player that has 78 speed and a flip-over cartridge. The Sansui table has a cartridge that can accept a 78 stylus, the Shure 97. Do you have the Shure V-15 series? If so, a 78 stylus would be easy. Audacity allows me to transcribe at 33 or 45 and correct the speed to 78 RPM. My intention is to get an Audio Technica 120 table this year. It uses the same headshell as the Sansui, can use the same cartridge, has 78 speed and a wide range of speed control. Also I'm finding that different cartridges produce different results depending on a record's age, wear and so on. Already have one of the Shure 44 bodies, intend to get both styli, the high-output bullletproof version that can track at three grams and the standard model. Sometimes all you really want to do is keep the needle in the groove. 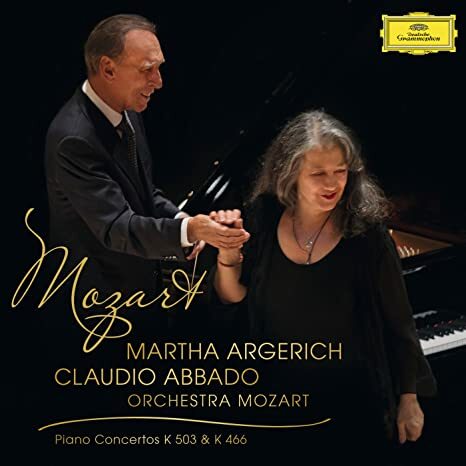 I have that in my Abbado box. Haven't played it yet. 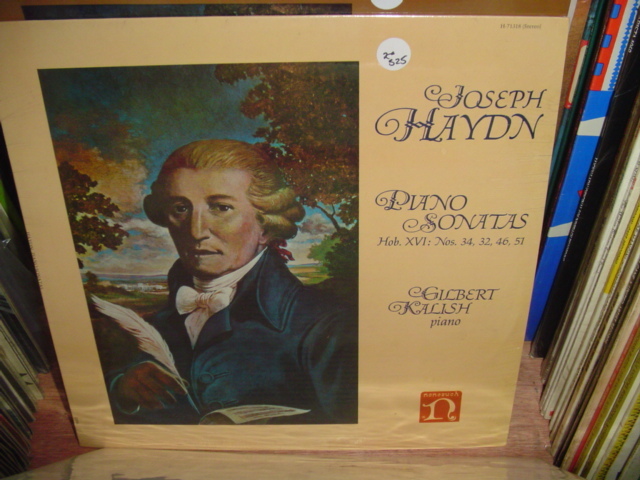 I just bought this 3-Lp set and listened to Schumann's first two Quartets. After a steady diet of CDs/SACDs, it's quite a shock to hear how warm and full undigitized string instruments sound--just like real instruments! Needless to say, the playing is sublime. bluemooze, Mik, jukes and 3 others like this. 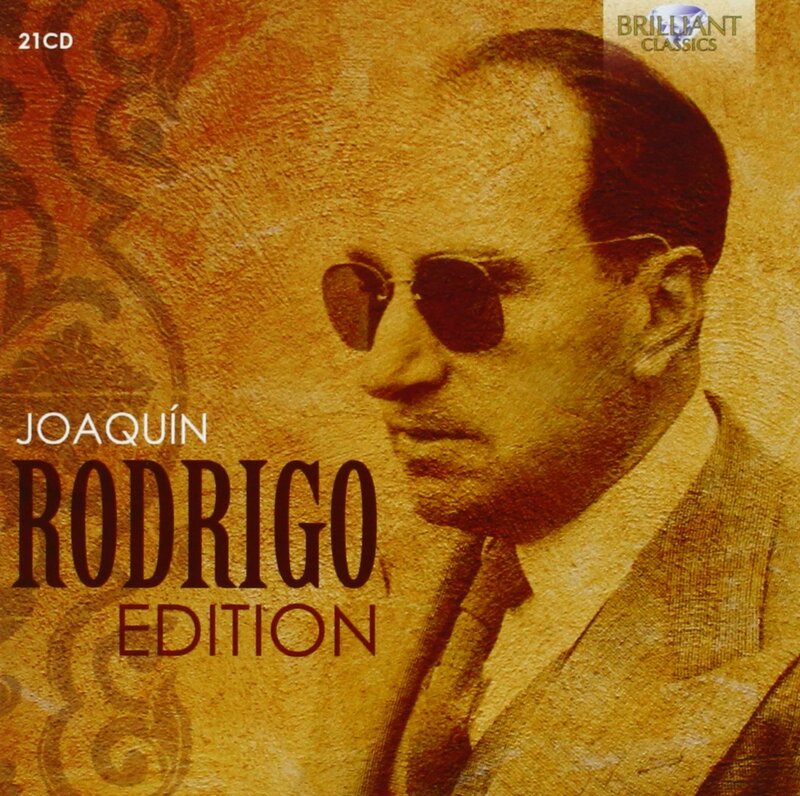 I am a third of the way in listening to this Brilliant box: The Rodrigo Edition, 21 CDs, 2014. There are some well-known artists but also a lot artists that are new to me. Enjoyment so far. Amazon US wants 118.36 currently! I found it at Presto for 41.00.
bluemooze, Mik and Robin L like this. Is this CD still available? I have their Brahms recordings. bluemooze, Mik, Bachtoven and 1 other person like this. You can get a 78 stylus for the V-15. Re-balance the arm, dial in the stylus pressure level, change the speed and you're in business. Listening now to Callas in Manon Lescaut. Fafner88 and john greenwood like this. On the turntable…this found its way into my collection sometime when I was in college, I think I found it at the college bookstore which sometimes had bins of $1 LPs from Turnabout and other budget labels (this is a Columbia Special Products release). 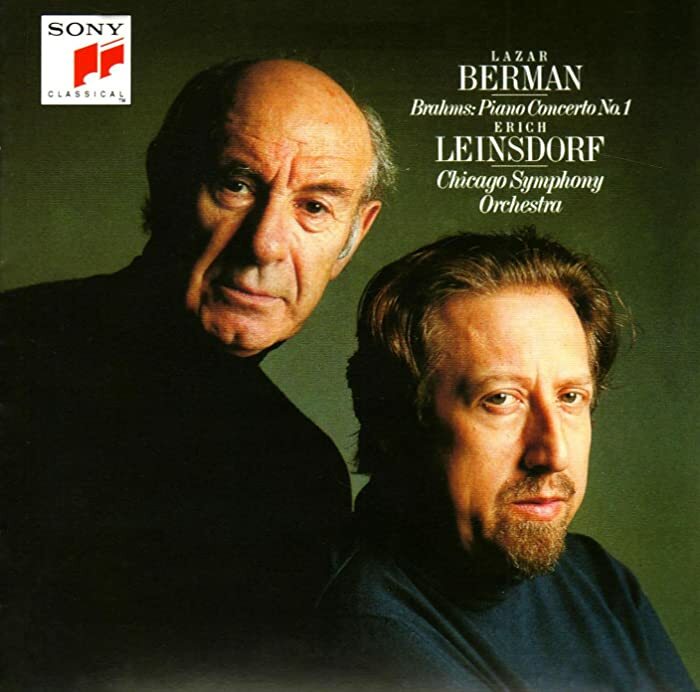 Though it has gotten passed up by a few other Brahms 1 recordings in the hierarchy, and despite the ever present coughs in the audience, it really is an enjoyable listen. So someone else owns a copy of this particular Brahms #1.I have only found one copy of this record,ever.It was about three years ago,also,in a record store dollar bin.This record may or may not be common in the Cleveland area,but elsewhere,it never turns up.It was clearly not a regular Columbia Masterworks catalog issue.I wonder what it was issued for? Cleveland Orchestra subscription premium? WCLV fundraiser?You know? On the turntable…mastered by Bob Ludwig at Sterling Sound, just a great sounding LP with excellent performances. Hawkman, john greenwood, bluemooze and 1 other person like this. My question is why does the Brahms album have a drawing of the Sydney Opera House on it. That's not the Blossom Music Center. The Brahms was recorded on their tour of Australia...their final night was a concert at the Sydney Opera House, recorded live...special because they were the first foreign ensemble to perform there. Got an unexpected [and welcome] gift in the mail from our resident antiquarian, DRH. A carefully packed and rather heavy box of 78's of classical music in very clean condition... Thanks David, this is going to be fun. You're most welcome, and I do hope so! One thing that caught me by surprise was the good results--in terms of surfaces, recording quality, and performance--that came out of these "on a shoestring" sessions, limited to two takes for each side, for promotional issues at a bargain price. Clearly RCA Victor, which did the recording honors, had the whole process of running 78 RPM recording sessions down to a science, at least when the artists involved weren't allowed to inject too much prima donna tempermentalism! What also caught me by surprise, as I think I've mentioned in an earlier posting, is what a characterful, forceful conductor Ormandy was at that stage of his career. Rightly or wrongly, he has a reputation for being somewhat bland in many of his LP era recordings, but there was nothing the least bland about the performances he set down for these humble releases in 1938. Did your P-E tables give up the ghost? I hope not--from what I understand, replacement parts for them are hard to get, at least in comparison to those for the more common Dual 12xx series ones. Thanks, George--you're being too kind, but I'll lap it up anyhow! EasterEverywhere, ToddBD, Robin L and 1 other person like this.